“The Book of Mormon” is back in Chicago, but only for a short time. The wildly popular musical has returned to the PrivateBank Theatre for a seven-week run ending August 14, according to Broadway in Chicago. The Tony award-winning musical holds the record for the "largest weekly gross" in the theater's history, with nearly every ticket selling out during its 2012 and 2015 appearances. The musical follows the story of two characters, Elder Price and Elder Cunningham, as they embark on a Mormon trip to Uganda. Their journey starts as the gentlemen attempt to preach The Book to a rural community ruled by a vicious individual. It features music and lyrics by Emmy Award-winning "South Park" creators Trey Parker and Matt Stone, along with Robert Lopez, the co-creator of the long-running hit musical comedy "Avenue Q." 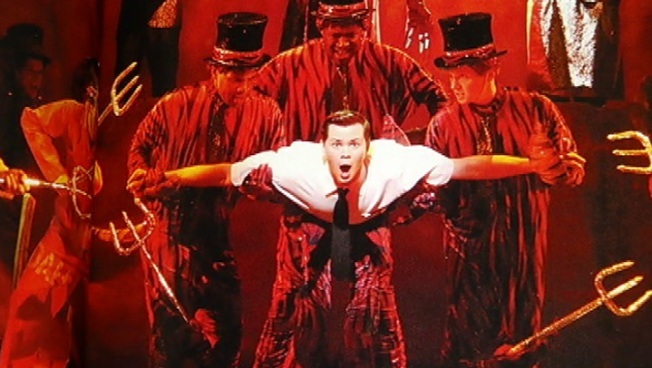 Since the 2011 debut of “The Book of Mormon," it has won nine Tony Awards, including "Best Musical." Ticket prices range from $45-$172 and can be purchased at Ticketmaster.